The TELMI project is participating in the VERTIGO STARTS Artistic Residencies Program in order to host an artist that will work at UPF applying the TELMI technologies to a creative outcome. Among others, these technologies include high-level audio and motion capture technologies and physiological data sensors for capturing brain, heart, and muscular information. The collaboration with the artist will extend the dissemination of the technologies developed in the project. 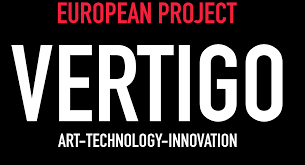 VERTIGO is a project supported by H2020 program that aims to catalyze new synergies between artists, cultural institutions, R&D projects in information and communication technologies (ICT), companies, incubators, and funds. The call for artists is open until May 22nd, 2017. For more information check the VERTIGO website.